Hi everyone! I hope you all had a good weekend/Superbowl Sunday. 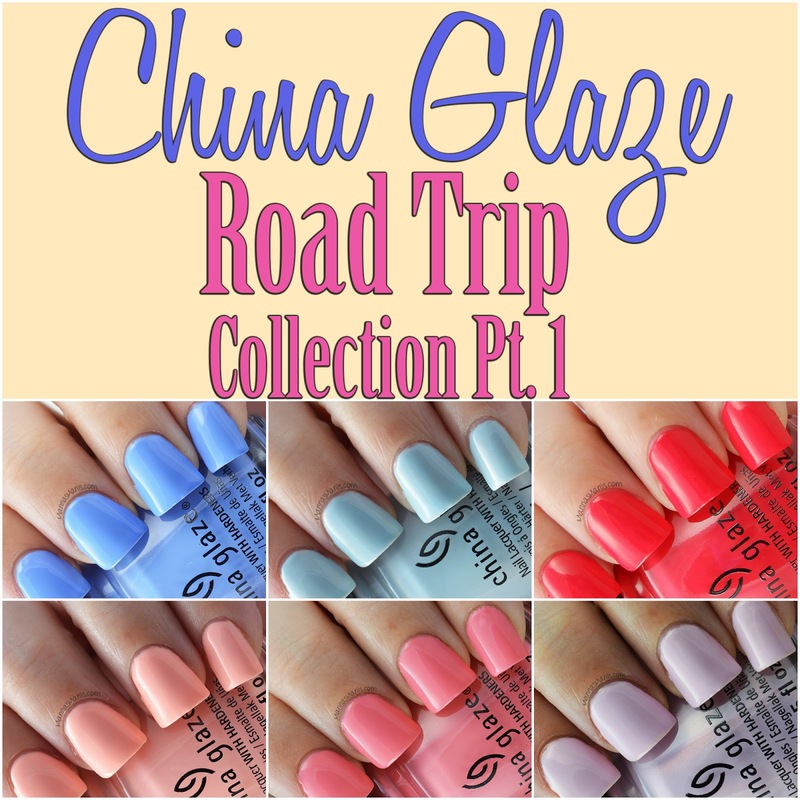 Today I have Part 1 of the Road Trip Collection from China Glaze. I decided to split these up because there are 12 polishes total. Pinking Out the Window is a gorgeous pink, almost salmon creme. No issues with the formula or application. This is 2 coats. Wanderlust is a powdery pastel purple with a gold/pink shimmer. No issues with formula or application. This is 2 coats. 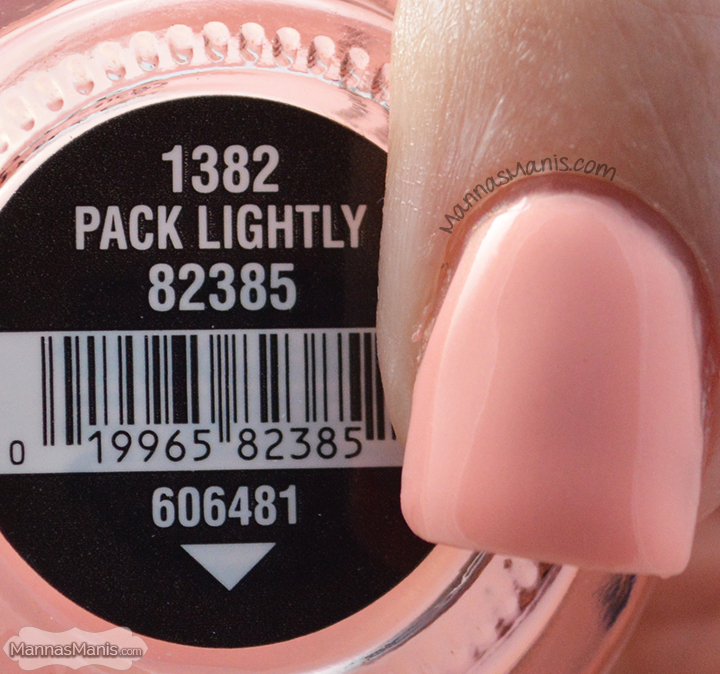 Pack Lightly is a powder peach shimmer. The shimmer is again gold/pink. Had a little trouble with application, it was still patchy at 2 coats. This is 3 coats. Dashboard Dreamer is a shimmery pastel blue. It has hints of gold/pink shimmer. This is 3 coats. I Brake For Colour is a gorgeous red-pink creme. No issues with formula or application, but I did have trouble photographing it. This is 2 coats. 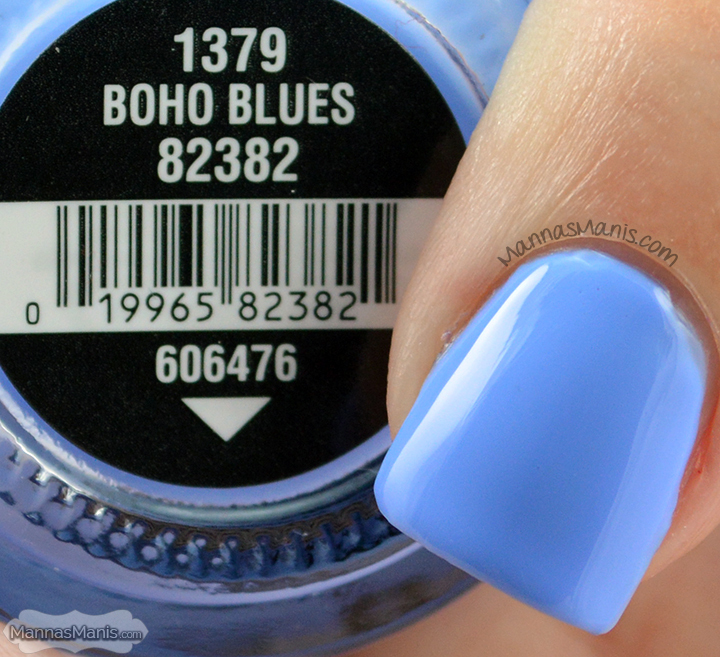 Boho Blues is a soft indigo blue creme. Again, I had problems with application as it was runny and patchy in some spots. This is 3 coats. That's it for part 1 of the Road Trip Collection. I'll be back Wednesday with the final 6. Do you have a favorite shade from this collection?